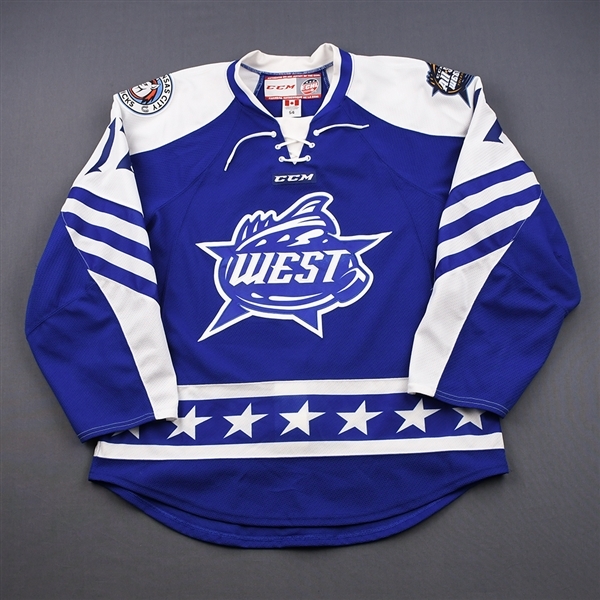 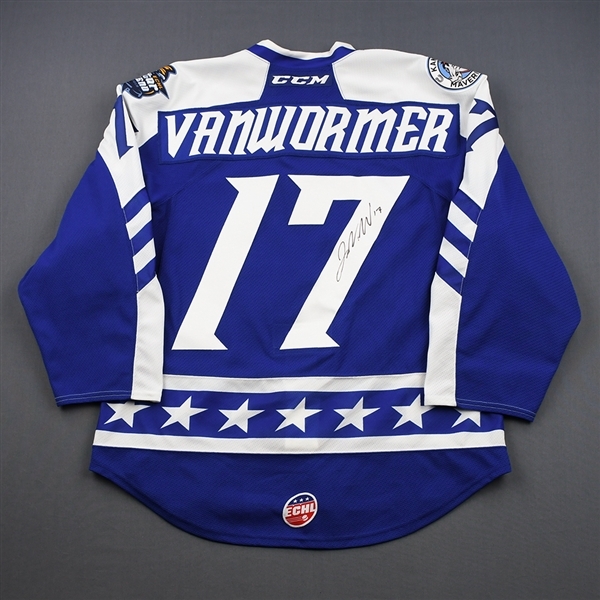 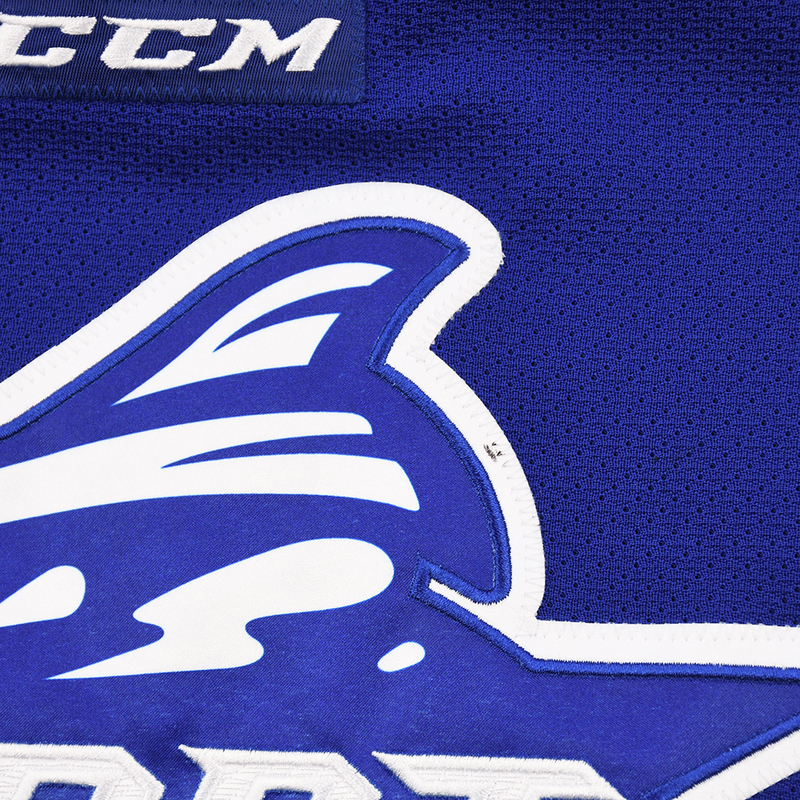 Here is your chance to bid on the Western Conference All-Star Game jersey worn by #24 Jared Van Wormer of the Kansas City Mavericks during Round 1, Round-Robin, Games 2,3,5 of the 2019 CCM/ECHL All-Star Classic at Huntington Center in Toledo, Ohio. 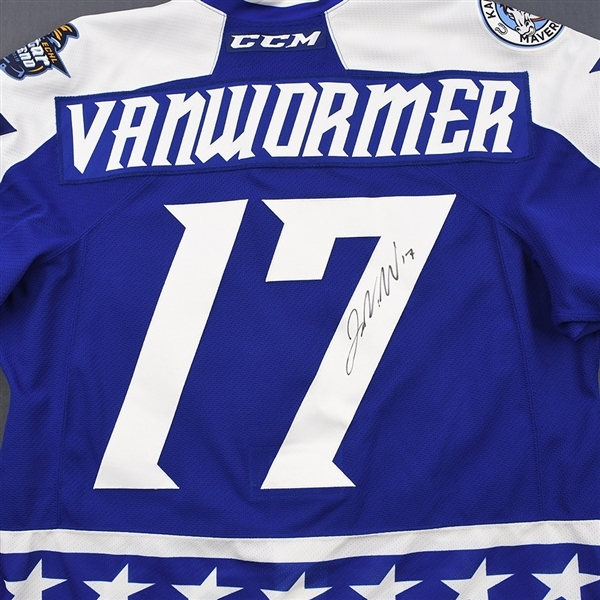 The jersey was autographed by Van Wormer after he wore it. 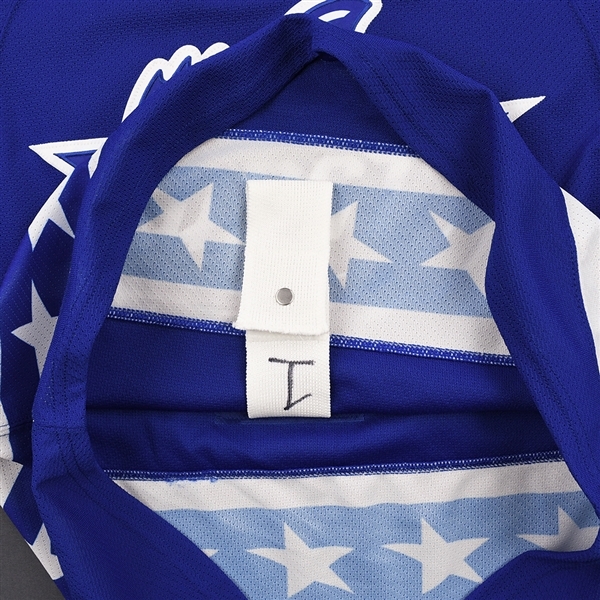 The one pair of numbered socks Van Wormer wore throughout the All-Star Game will be included with the jersey.